This Shakuhachi romper. I just can’t even explain how much I adore it! 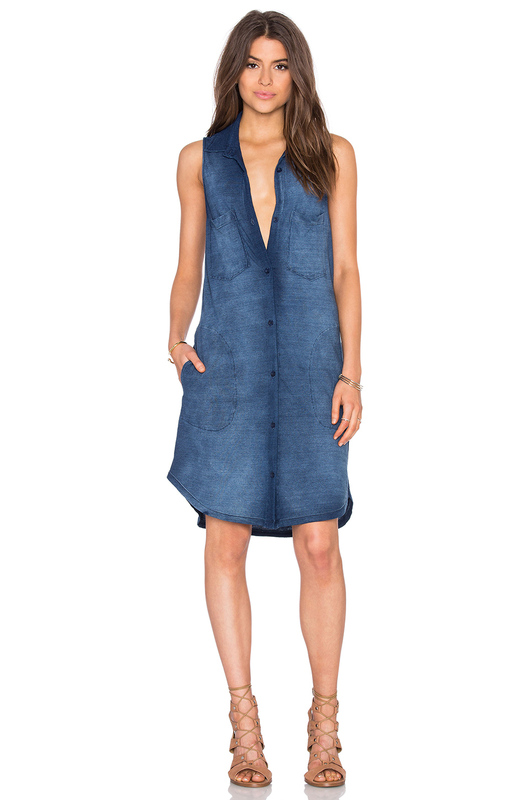 To start, I love that it’s denim. I also love the oversized ruffled neckline. It’s just screams fun, right? Sans belt this look was just ok, but with this fun B-Low the Belt creation it became fab. I have a new obsession with pairing denim + black, which is super funny because I used to hate this combo! I think the contrast in tones is just super edgy and chic. I also have a thing with the tallest wedges ever lately, hence these that I am wearing from Saint Laurent. They are actually super comfy and easy to walk in! I love the contrast between the suede top and the woven neutral heel. 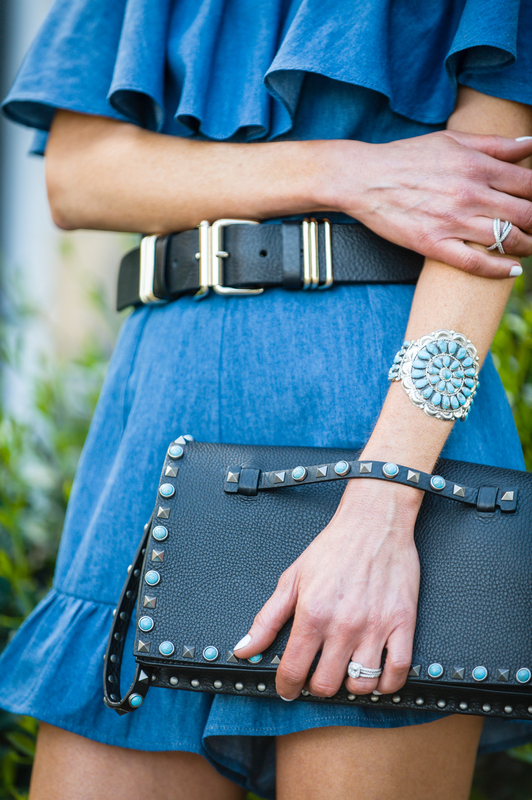 When I threw on this Natalie B turquoise cuff, I thought it might be too much with the clutch, but instead it was perfection. I am having SUCH a silver jewelry moment by the way. My sister is probably laughing reading this (I was stalking out some random rings at Miraval in Tuscon with her a couple of weeks ago), but really I want any + all things silver, oversized, navajo inspired. My go-to Karen Walkers finished off this look. I am so excited for all the fun ways denim is being created for Spring and Summer. From rompers like this one, to fun high waisted skirts to easy little dresses, it’s definitely one of my favorite trends.